Have you ever thought about the influence you have on the people around you? Or the influence they are having on you? Who do you look up to? And who looks up to you? Some relationships have a significant influence on us; we invest in some people and some people invest in us — be it in our workplace, personal life or church. It's helpful to assess whether these relationships aid growth in a positive way. A mentoring relationship has huge potential for influence and impact, as one person comes closely alongside another and invests in their growth. A mentor can be defined as a more experienced, trusted advisor, who trains, guides and counsels a less experienced/ knowledgeable mentee or 'protégé'. The relationship between mentor and protégé is not equated to age, but to expertise, wisdom or maturity and usually entails informal face-to-face communication over a sustained period of time. Being mentored is an essential ingredient for growth in almost any vocation or pursuit, but certainly in one so emotionally, physically and mentally challenging as nursing; a career in which learning never stops. The personal growth and learning that takes place when training to be a nurse, and significantly during the transition into working as a newly-qualified one is monumental and can be greatly affected by mentoring. Furthermore, as followers of Christ, changed by his grace and living as his witnesses in a world which is often hostile to him, mature Christian mentors can have a huge impact on our spiritual growth. what does this essential practice look like? committing to the learning process side-by-side with the learner. developing the learner by challenging them out of their 'comfort zone'; teaching information ahead of the time when it will be required. plunging the learner into change, provoking a different way of thinking, identity or reordering of values. using your own example to demonstrate a skill or activity, understandably. reflecting, to create awareness of what was learned by experience and drawing conclusions. As a newly-qualified nurse (NQN), just nine months into my first year working, I have felt the effect of workplace mentorship more profoundly than ever before. Although I had spent thousands of hours exposed to healthcare environments, I was, in many ways, unprepared for the step up in responsibility. Working autonomously — whereby no-one will scoop up my unfinished tasks and where I am legally accountable for every signature, action and communication made — can feel overwhelming. A mentor can be a huge support to an NQN during this transition and aid their development of confidence and competence. However, during this period of change, an NQN can feel out of their depth, incompetent and inadequate, and confidence in their nursing ability can be fragile. A mentor who is training and critiquing an NQN but insensitive to the challenges of this transition can exacerbate feelings of inadequacy before the NQN's skin has 'thickened', and thus stunt potential growth. I am pleased to say I have largely been positively supported, encouraged, and guided in my skills and understanding of how to deliver high quality care amidst the pressure of NHS wards. Criticism from mentors is of course a key part of development, but I have felt the difference in effect between constructive and destructive criticism. During a typical, busy morning on the ward amidst constantly repeating, mid-volume alarms from call-bells and IV pumps, I am interrupted for the fifth time during my already-late-running drug round, to be reminded my patient's relative is still waiting on the phone for an update. As I pause to answer the phone, my HCA reminds me three 'double-up' washes are outstanding, and the Sister asks that I hand over my side room patient ASAP to the ward upstairs. There are about twelve tasks which need to be done at once… so what should I prioritise? I have to breathe… complete one task at a time, as proficiently and efficiently as possible, and coordinate sharing the tasks of personal care, observations and blood sugar checks with my HCA before lunch. But before I know it, it's lunchtime and drug round again. I haven't written any notes yet, I haven't taken a break and my 13:00 IVs are due. This I would describe as destructive criticism — at an inappropriate time and without positive or conducive feedback, when the protégé is stressed and working at their capacity. In a similar vein, during my first months of work, I found myself getting into an unhealthy pattern of staying late after every shift to complete my written documentation of care for each of my patients, having felt inundated with practical tasks throughout the day without time to stop and write. One week I had three consecutive shifts with one of the Sisters who noticed I'd stayed late two evenings running. On the third morning, at a quiet moment in the treatment room, she gently asked how I was doing. I wondered whether she was asking in regard to this day, my work that shift, personal life or my emotions on my third, twelve-hour shift of the Bank Holiday weekend… I didn't know which answer she was looking for, but I won't forget how genuinely she asked and listened to me. She didn't have to bring up the fact she knew I had stayed late on both previous shifts, but I very quickly brought it up on my own accord. Her next question was 'And how can we improve this?' I was struck by how she was engaging with this situation so constructively and seeking a solution with me; by her simply asking the right questions, I drew on ways I could improve, more than simply saying 'time management'. Jesus was a fantastic example of a mentor. We can examine how he led by example, taught and fed great crowds of people. However, his prime mentorship was to his disciples, and in particular — Peter, James and John — in whom he closely invested, guided and with whom he lived his life. Spiritual mentorship thus involves teaching, living as an example, praying and encouraging growth (that the mentee can then pass on to another, in time). 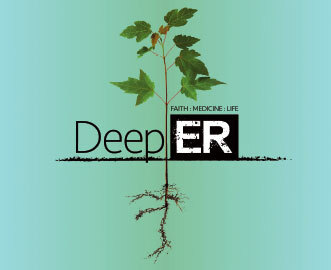 Having someone who understands the desire to walk each day with God, who can bring a scriptural perspective on stress and mature advice on the emotional challenges of healthcare is so valuable. As part of our Southampton student nurses' and midwives' CMF group we started the 'Once Encourager' mentorship scheme. 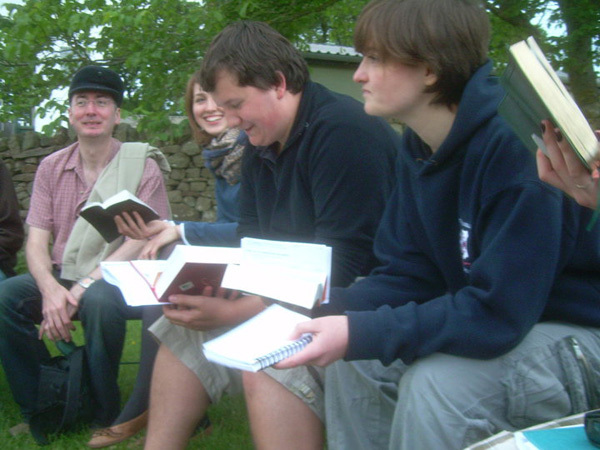 We paired up younger students with older students in their field, or with working or retired Christian nurses and midwives, as the 'Encouragers'. 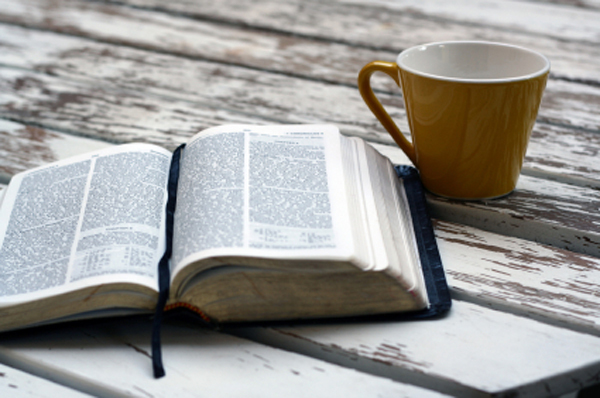 The idea was that the Encourager committed to praying for the student once a week, contacting them once a month and meeting with them once a term. 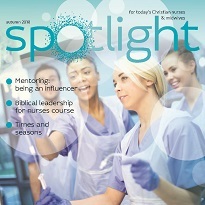 This scheme uniquely brings together both nursing and spiritual mentoring, and aims to encourage growth in bringing together Christian nurses and midwives. We can all mentor others. Ask yourself who are your potential protégés, and how might you be able to aid them in their professional and spiritual growth, in a constructive and fruitful way. Esther Chevassut is a staff nurse and works part time as a CMF Associate Staff Worker for nurses and midwives. * For more information on the Encourager Scheme and becoming a mentor to nursing and midwifery students, please email pippa.peppiatt@cmf.org.uk.